Brand recognition is one of the most influential factors in a consumer’s decision about which products to buy, and how much money to spend. Branding allows for quick judgments of appearance and presumed quality of a product. Fashion companies, in particular, rely heavily on branding, as the look and feel of apparel are usually what drives consumers to buy clothing. The fashion industry, which includes shoes and accessories as well as clothing, is one of the largest industries in the world, globally valued at 3 trillion dollars (2% of world’s GDP). 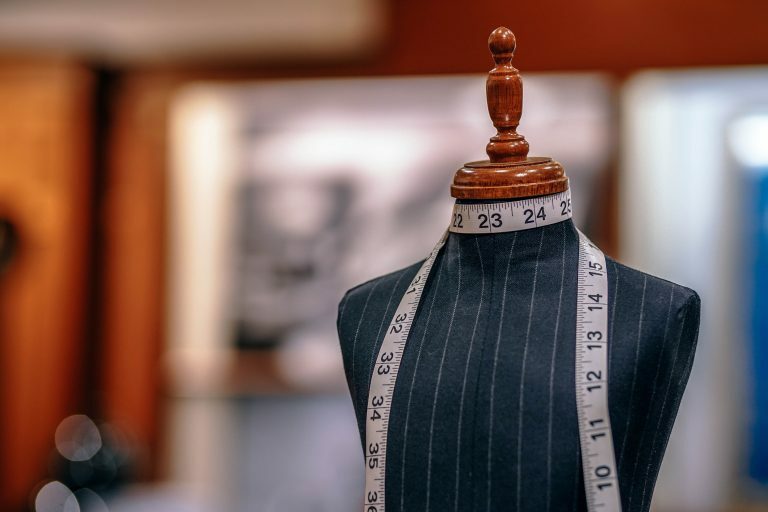 For fashion brands facing such a large market and extensive competition, design protection is vital to the establishment of brand equity and the success of their company as a whole. 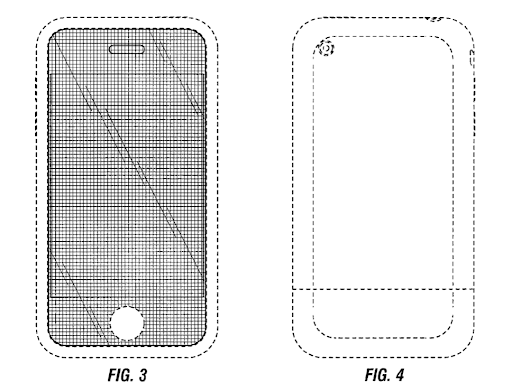 Design patents are one approach to protecting product appearances. There are four types of patents, three of which can be used within the fashion industry. 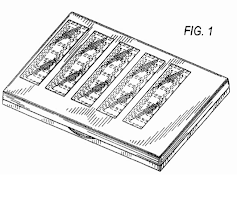 Of those three, however, only a design patent can protect the appearance of a product. There are three requirements that must be met before a product can legally qualify for a design patent. One requirement is that a design must be primarily ornamental, meaning the design must be visible and cannot be dependent on the functionality of the product. Essentially, the function must be possible despite the design. For instance, the visible design of a remote cannot influence its ability to send a signal. Further, a design patent does not include independently the article it’s on (such as a t-shirt or purse alone), but rather the design in connection with the article it’s on. To cover multiple articles bearing the same design, multiple design patents must be filed. The other two requirements, nonobviousness and novelty, slightly overlap, so they may be more easily understood by explaining their differences. A design being nonobvious pertains more to the originality of a thought, while novelty relates to whether or not it has actually been patented before. Real-life examples of nonobviousness in fashion-related design patents are hard to find due to the low amount of design patent rejections. However, a U.S. Design Patent D618,677 by Apple, regarding a design update of a device, was rejected on three counts of obviousness based on the changes made being obvious to “one of skill in the art” (looks to be the design for the iPhone 5c). Source: Search conducted in ktMINE Patent Search. Image from Free Patents Online. Gucci is currently the fastest growing luxury fashion brand, producing everything from socks to home décor. The majority of Gucci’s revenue comes from leather goods ― including purses but excluding shoes ― while their watch and jewelry lines bring in the least amount of revenue. Unexpectedly, Gucci’s number of watch related design patents vastly surpasses that of purses. ktMINE data shows most of Gucci’s patents are based in the United States and are categorized as “Measuring, Testing, or Signaling Instruments” which includes a variety of wristwatch designs. On the other hand, their European patents show a totally different focus, with their biggest category, “Purses Luggage Hand Carried Bags,” having nine patents relating to a type of closing mechanism for their purses. The designs of their actual bags can be found under “Travel Goods and Personal Belongings,” having a total of five patents. One of these design patents is shown below. Source: Search conducted in ktMINE Patent Search image from Espacenet. It isn’t unreasonable to assume that because they are putting out more clothes, they should have more design patents, but this isn’t the case. Forever 21 currently owns 11 patents, seven of which are designs for “Furnishings” which is unrelated to what they sell. This focus on design patents relating to the layout of their stores is not completely random. Forever 21 currently has 281 stores nationwide compared to Gucci (primarily sold through high-end department stores), which has about 25 stand-alone locations in the United States. Therefore, Forever 21 has more pressure to maintain a good instore reputation. Also, the lack of design patents for their products is not inherently bad. Not all apparel will be original and unique enough to qualify for design patents and that does not make one brand objectively better than the other. Style simply boils down to preference. Forever 21 supplies clothes to those who like fashion, at an affordable price. The problem with Forever 21’s lack of design patents can be seen in the excessive number of times they’ve been sued for using the unique designs of other companies. There are two traits that are important and reinforced by owning patents: competitiveness and uniqueness. Competitiveness and uniqueness are ranked as two of the top common traits of a successful brand. 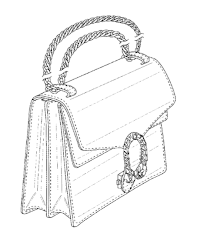 In meeting the standards and being granted a design patent to protect the appearance of clothes, shoes, purses, furniture etc., brands are ensured that their product is unique, which enables them to build a reputation set apart from others within the industry. This uniqueness is directly related to competitiveness in that brands have something to offer design wise that others cannot legally replicate, thus encouraging competitors to be creative. Lawsuits based on designs that have been made before are common in the fashion industry and are infamous among “fast fashion” retail stores such as H&M, Zara and Urban Outfitters. When a company is caught producing a product similar to one that has been patented, they can be sued for patent infringement. Many lawsuits in the fashion industry are based on trademarks and copyrights which concern symbols and art (respectively) associated with a brand and their product. This made finding examples of design patent infringement difficult. However, the ktMINE database presents a lawsuit involving Forever 21 and Innovative Cosmetic Concepts LLC (ICC). ICC sued Forever 21 over the infringement of the design of a cosmetic case (shown below). As with every infringement case against Forever 21 so far, this too was dismissed, likely due to resolving with a settlement. The advantage of patents over the alternative options when it comes to protecting a product is demonstrated in a case involving the footwear company UGG suing Claire’s Store. This patent infringement lawsuit shows the strength of their defense in court by UGG simply showing ownership of the shoe design in question. Other forms of intellectual property are limited in their protection, as seen in an ongoing trademark infringement lawsuit filed by the denim company, Levi Strauss, against Yves Saint Laurent (YSL), a luxury brand, regarding the famous Levi tag. Although Levi having the trademark registered helps prove their distinctiveness, due to the ease of gaining one versus a design patent, there is a burden on Levi to prove that YSL’s trademark is similar enough with theirs to cause confusion between the products. This case is currently still under litigation, we will have to wait and see if the burden on Levi is met. Though the importance of design patents is something which is not historically reflected amongst designers, they are becoming increasingly aware of the benefits. 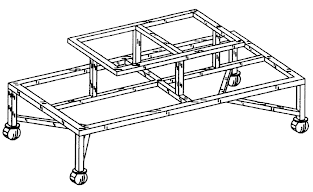 This can be seen in the rise of design patent applications. Design patents are useful when it comes to legally enforcing the unique appearance of a product, which increases competition, and ultimately helps a company to establish and build their brand. While there are many avenues you can take to protect your brand, design patents are one that should not be overlooked.